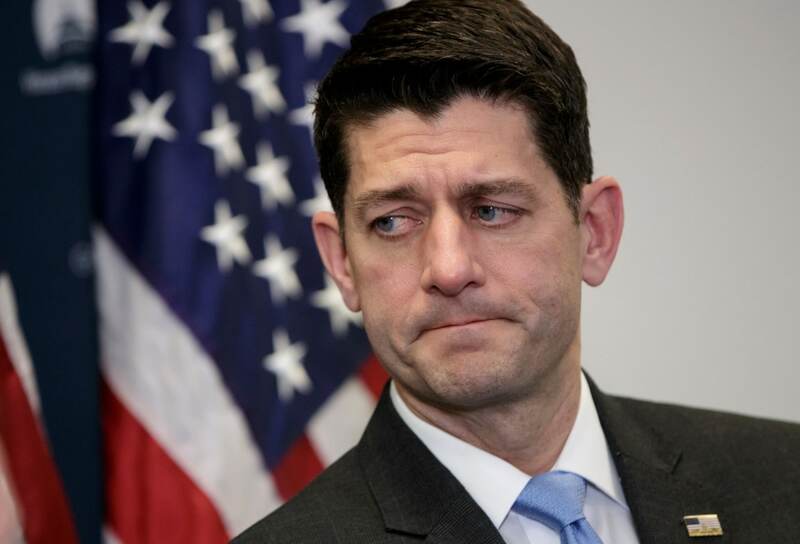 House Speaker Paul Ryan will not run for re-election this fall, a GOP congressional aide told CNBC. The Wisconsin Republican is expected to announce his decision as soon as Wednesday. The GOP faces a tough fight to hold on to a House majority in November amid Democratic enthusiasm and opposition to some policies pushed by President Donald Trump and the Republican-controlled Congress. The move raises the prospect that more GOP lawmakers could decide not to run for re-election. A spokeswoman for Ryan did not immediately respond to CNBC’s request for comment on Ryan’s plans. Glad he is going, wish it was effective immediately, though. I guess after spending almost his entire adult life in congress, he finally found someone to hire him. Sob. I haven’t been so heart broken since the rabid rat died out back. I’m devastated I tell you, devastated. Where will the Republicans find someone of similar character now that Ted Kennedy is dead? Don’t let the door hit ya’ in your face Paul. Seen on Facebook: Lawrence Jones on FBN says that Ryan will be running for President in 2020. Good chance. WI is set for war after Prop 10 and Walker. The problem is that WI is fickle. A far Left lunatic was elected to the Supreme Court over a no nonsense conservative. Ryan would have had a real fight on his hands against his democratic opponent if he decided to campaign. Ryan’s goal will simply be to damage President Trump thoroughly enough in the primary so that his democratic opponent has a better chance of winning. Remember Scott Walker was the first candidate to drop out and beg the republicans to circle the wagons and keep Trump from becoming president. Deep deep pockets here.